Chuck Stanford is an ordained Lama within the Tibetan Buddhist tradition. His 20-year course of study has included multiple trips to Dharamsala India where he received teachings from H.H. Dalai Lama and to Golok, Tibet where he received teachings from one of his root teachers. Lama Emeritus Stanford is co-founder of the Rime Buddhist Center & Institute of Tibetan Studies located in Kansas City. 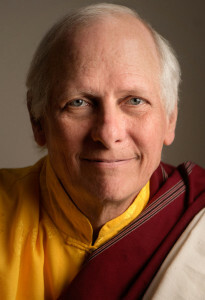 Lama Emeritus Stanford was the Buddhist member for Kansas City’s Interfaith Council for 20 years. In addition he had written a monthly column on Buddhism for the religion section of the Kansas City Star since 1995. He has also written and published a book on Buddhism designed to be used as a study guide by other Buddhist Centers. 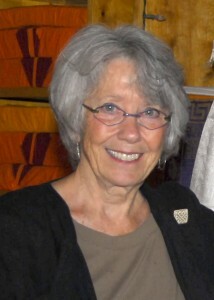 At the end of 2015 Lama Emeritus Stanford retired as the spiritual leader and Executive Director of the Rime Buddhist Center. Lama Emeritus Stanford is very involved in prison outreach. He has Buddhist inmate groups at three area prisons he visits regularly. He worked as a part-time chaplain at Leavenworth USP Federal prison in 2004 and 2005 when it was a maximum-security prison. Currently he works as a part- time chaplain at the United States Disciplinary Barracks (U.S.D.B.) prison at Ft. Leavenworth. In addition he serves as a volunteer Chaplain at Lansing Correctional Facility. Mary Stanford is co-founder of the Rime Buddhist Center and is a certified Buddhist chaplain who has worked in hospice for many years. She has traveled to Dharamsala India where she received teachings from H.H. Dalai Lama and to Golok, Tibet where she received teachings from one of her root teachers. She has a fine arts degree from the Kansas City Art Institute and is particularly interested in exploring the role Buddhism plays in Tibetan art and culture.